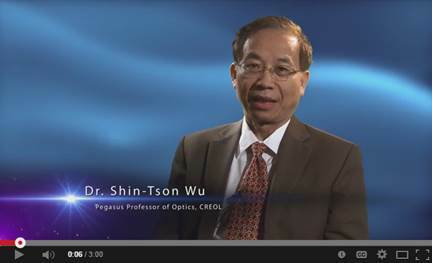 Dr. Shin-Tson Wu is Pegasus professor at CREOL, The College of Optics and Photonics. Prior to joining UCF in 2001, he was with Hughes Research Laboratories (Malibu, California) where the first laser and liquid-crystal-on-silicon were invented. He received his Ph.D. in Physics from University of Southern California (Los Angeles) and BS in Physics from National Taiwan University (Taipei). His research interests at UCF focus on: 1) Advanced displays including quantum-dot LCDs, mini-LEDs, micro-LEDs, OLEDs, augmented reality, and virtual reality, 2) Adaptive lenses for optical imaging and light field displays, and 3) Adaptive optics for wavefront correction and laser beam control. Dr. Wu is a recipient of OSA Esther Hoffman Beller Medal (2014), SID Slottow-Owaki Prize (2011), OSA Joseph Fraunhofer Award (2010), SPIE G. G. Stokes Award (2008), and SID Jan Rajchman Prize (2008). He has co-authored 7 books, 570 journal papers and 260 conference papers, and obtained 90 US patents. His publications has accumulated over 30,000 citations, with an h-index of 85. 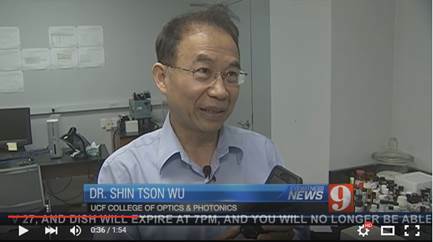 Dr. Wu is a Charter Fellow of the National Academy of Inventors (2012) and one of the first six inductees (including Thomas Edison) to the Florida Inventors Hall of Fame (2014). 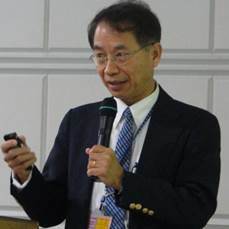 He is a Fellow of the IEEE, OSA, SID and SPIE, and an honorary professor of Nanjing University (2013) and National Chiao Tung University (2018). He was the founding Editor-In-Chief of IEEE/OSA Journal of Display Technology, OSA Publications Council Chair and OSA Board of Directors. Presently, he is serving as SID Honors and Awards Committee chair.